A senior Hamas official said the chances of a durable ceasefire in Gaza were "evaporating" and that there had been no progress in indirect negotiations with Israel. 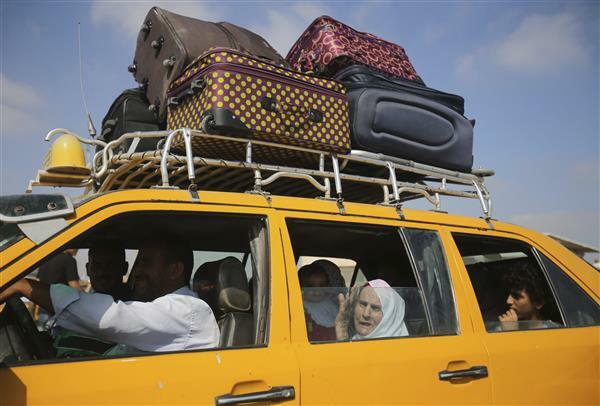 The official, Ezzat al-Rishq, is among a Palestinian delegation in Cairo where Egyptian mediators are racing to bridge the gaps ahead of the expiration of a temporary ceasefire at midnight. 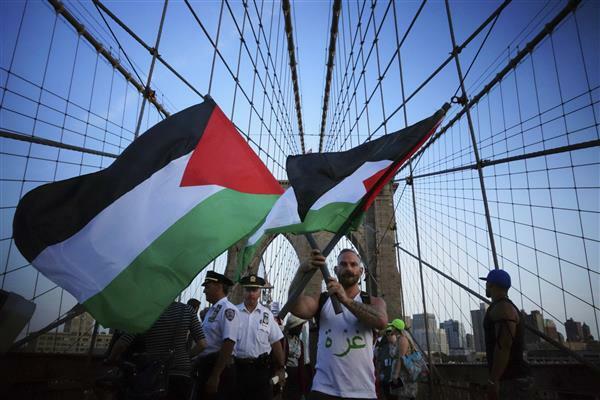 "There is no progress in the negotiations. Chances of an agreement are evaporating, and we hold the Zionist occupation fully responsible for that," Rishq wrote on Twitter. 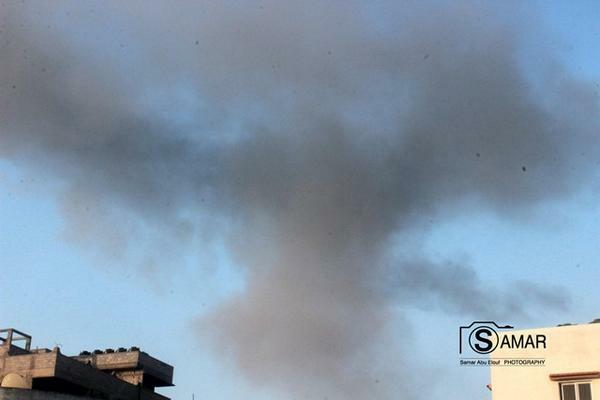 This video shows an Israeli attack on a "concealed rocket launcher" in Gaza tonight. 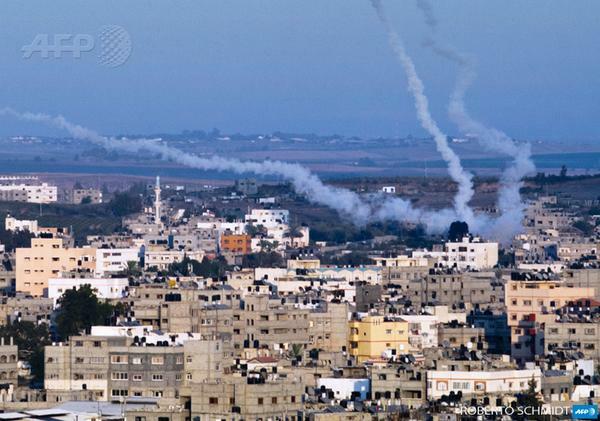 The Israeli army has reported more rocket fire from Gaza, this time near Tel Aviv. 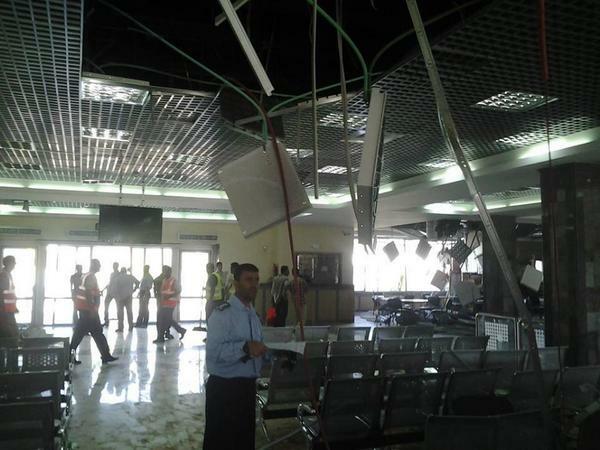 The Qassam Brigades, the armed wing of Hamas, has said it fired rockets at Ben Gurion airport in Tel Aviv. 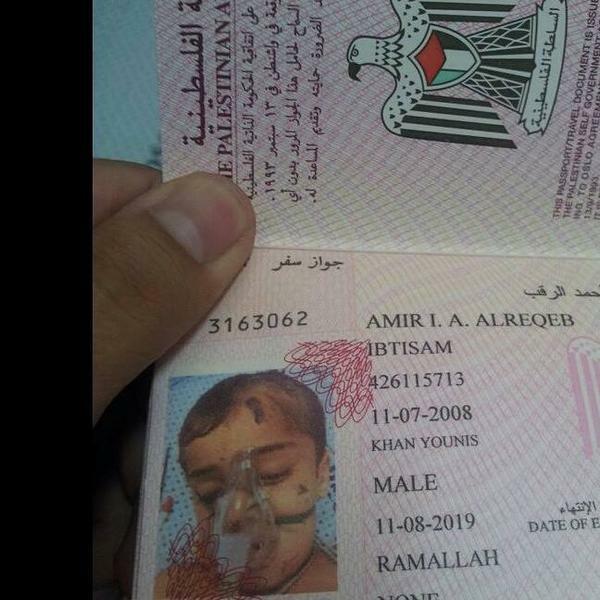 That is an explicit confirmation that Hamas is involved in the latest round of violence, and probably signals the end of peace talks in Cairo. #عاجل " 11:00 كتائب القسام تقصف مطار بن غريون بصاروخ من طراز j80 . Al-Qassam brigades, the military wing of Hamas, confirmed the killing of three of its prominent leaders: Mohamed Abu Shamaleh, Raed al-Attar and Mohamed Barhoum in an Israeli air strike. 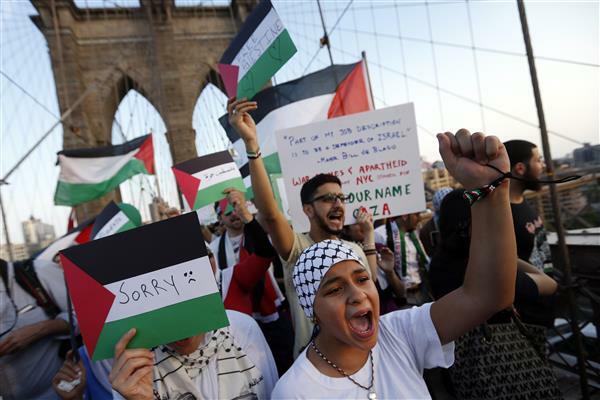 Demonstrators from a pro-Palestinian rally march across the Brooklyn Bridge in Manhattan, New York. 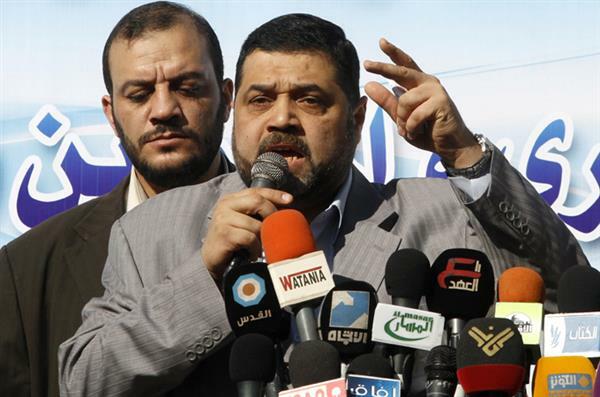 Hamas spokesman Osama Hamdan discusses the impact of the killing of its top military commanders by an Israeli airstrike and developments in the Cairo talks. We ask if there's room for negotiation when there's still a volley of rockets from Gaza into Israel. Listen below. 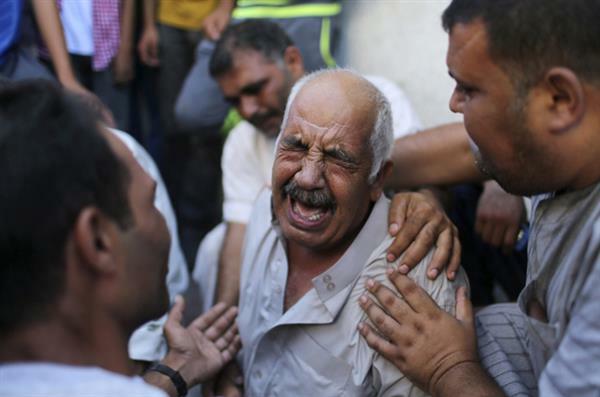 A grandfather of three Palestinian children who medics said were killed in an Israeli air strike, cries outside a hospital morgue in Gaza City. 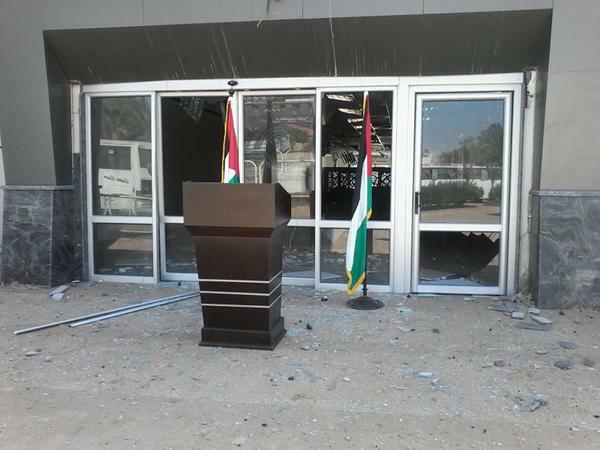 Audio: Jacky Rowland with the latest from W. Jerusalem during this renewed round of hostilities and Israel's response. 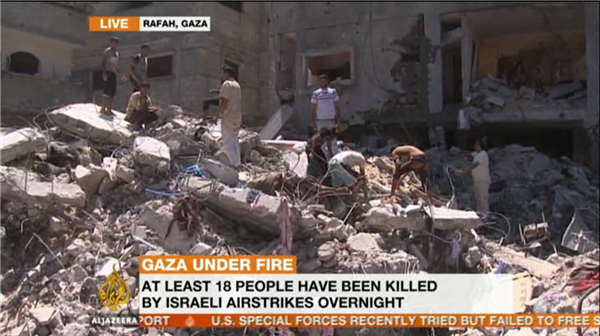 At least eighteen people have been killed in air strikes on Gaza overnight and into Thursday morning. 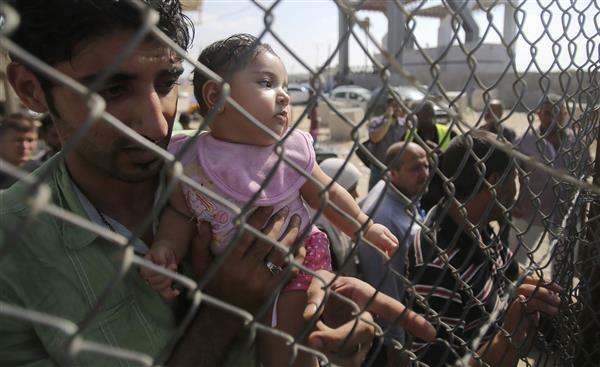 Hamas says three of its commanders are among the dead. Gaza medical sources say that 2 other Palestinians were killed as Israeli drone hit a car at Nasser neighbourhood in Gaza city. 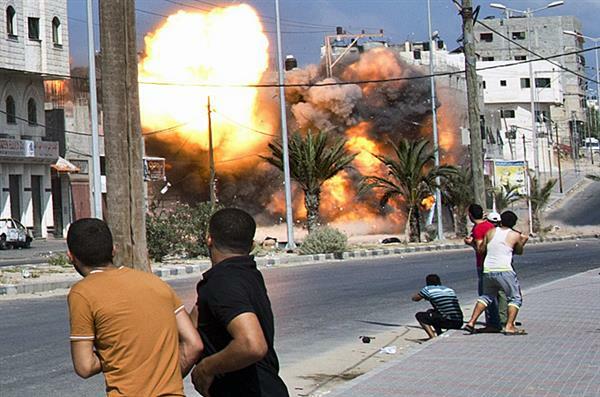 Hamas's military wing confirms deadly airstrike in Gaza's Rafah, warning that "Israel will pay the price". Thousands of people have filled the streets of the Gaza Strip, for the funerals of three Hamas commanders killed by Israeli airstrikes. 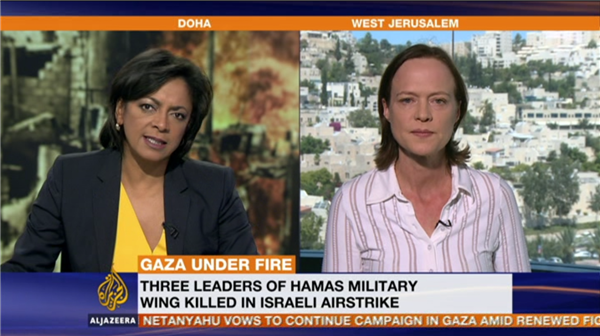 Al Jazeera's Jane Ferguson reports from Rafah. 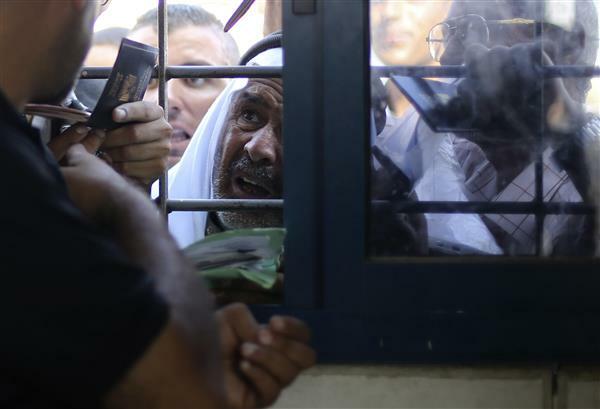 Two Palestinians killed hours after funerals were held for three senior Hamas commanders struck by Israeli air strikes. 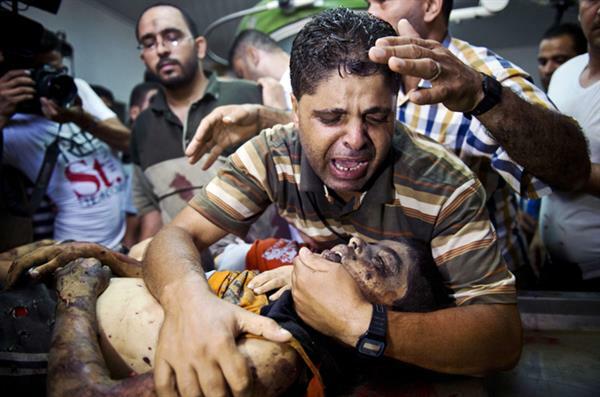 Hamas has announced it killed 11 suspected informers for Israel.